Try our varied kosher cuisine menu and let us cater for your special event in Miami! Choose Kosher Cuisine LLC’s homemade style dishes for unforgettable meals! Choose our food for healthy meals with your family and have it promptly delivered to your door with our kosher Moroccan catering in Miami. Organize 5 star events with our event catering services South Florida and we’ll also be your trustful partner for family parties and holidays. Kosher Cuisine is a business built on the idea of maintaining original kosher cuisine recipes and offering costumers authentic homemade style Henna Party food catering in South Florida or Rosh Hashanah meals in Miami. Through our Moroccan catering service in Miami you can taste unique kosher Moroccan cookies in Florida, based on our chefs’ secret recipes, originating from Morocco. Even for last minute Shabbat meals you can count on our Shabbos food catering in Florida and you will surprise your guests with natural food, through the taste of kosher Moroccan catering in Miami. With Shabbat food catering from Kosher Cuisine, your special meals will be unforgettable. Kosher catering Miami is a prompt service offered by us in order to satisfy costumers who really want to eat healthy food, trusting us to always bring to their door fresh Moroccan specialties with the distinguished taste of original homemade style food. If you are looking to set up a high class conference choose kosher Moroccan catering in Miami from Kosher Cuisine. You will delight your guests with unique products, as our company means not just good food and professional services, but authentic kosher food and Moroccan specialties in Miami which you certainly cannot find at any other Florida catering service. 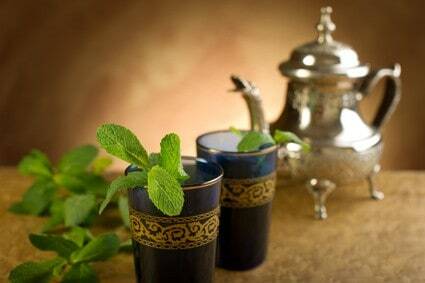 Moroccan kosher catering Miami is a top catering service in Florida. Try it and the addiction to us will become a healthy habit! With kosher Moroccan catering in Miami you have the guarantee to get fresh Moroccan specialties directly to your door, cooked with passion, for your holidays to be unique, elegantly designed. We are under the kosher certification of the ORB and our customers, those who are looking for authentic Moroccan delicacies in Miami will find unique products, not generally offered in the domain. You will benefit from affordable prices in relation to the quality of food and services provided form the best kosher Moroccan catering in Miami. With our services your special event will be a real success, as per taste of food, presentation, professional service of kosher Moroccan catering and affordable prices, all these crowned by unique and authentic taste. Call Kosher Cuisine at (954) 589-1417 for fresh Moroccan specialties delivered to your home through kosher Moroccan catering in Miami. Order your next meal by phone from the comfort of your own home through our catering services and you’ll promptly enjoy delectable kosher food in Miami. Shabbos food catering Miami is the easiest way to organize unique Shabbat meals.